You have never been to a place if you have never seen all of its corners. As for Luzon, the Philippines' largest island, you have never seen it if you have never been to all its corners. The old lighthouses of Luzon are witness to the awe of country's beautiful shoreline. In the late 19th century, Spanish urban planners have constructed lighthouses in the corners of Luzon to guide seafarers when navigating its seas. 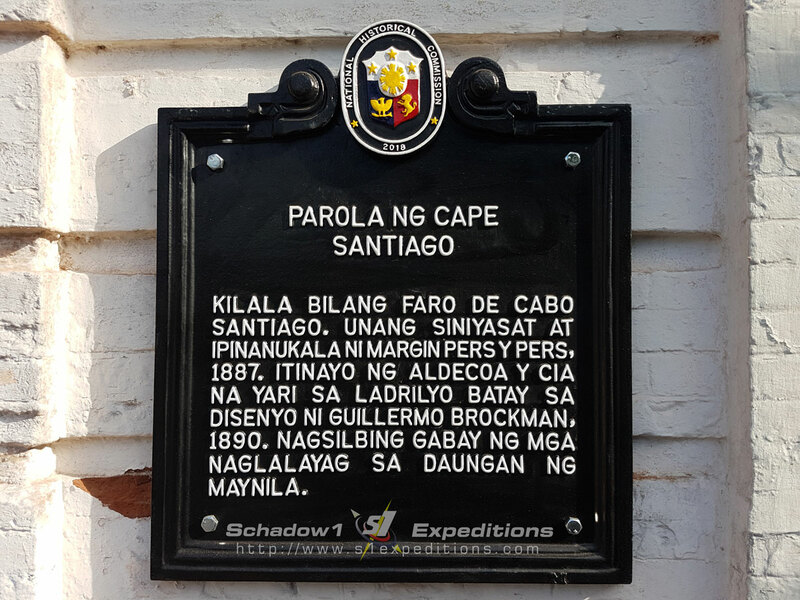 One of the several lighthouses was located at the southwestern point of the island of Luzon - Cape Santiago. 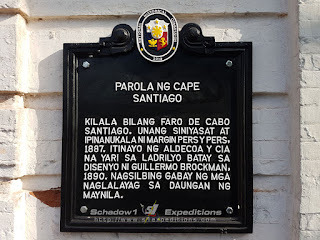 Cape Santiago is situated at the southwestern peninsula in the province of Batangas. Named after an elite during the Spanish colonial era, Santiago Zobel. It is within the municipality of Calatagan, about 160 kilometers from Metro Manila by land. The Cape Santiago Lighthouse (coordinates 13.77196N 120.65313E), also called the Calatagan Lighthouse serves as an overwatch to vessels traversing from the Verde Island Passage to the West Philippine Sea for over a century. It was constructed back in the time to improve marine navigation when new technology such as GPS has not yet been invented. The lighthouse towers to 15.5 meters and stands on a hill at 20 meters above sea level. Its focal point from sea vessels towers at about 35 meters. The lighthouse is one of the six lighthouses constructed from 1885 until 1890 under the same architect, Guillermo Brockman and master plan of Magin Pers y Pers. Together with lighthouses in Cabra at Lubang, Bojeador at Ilocos Norte, Engaño at Palaui, Malabrigo of Lobo, Capones at Zambales, they were one the last architectural masterpiece of the 19th century. Similar to its construction and design, the lighthouse in Calatagan has visitors lounge with 4 rooms and is made up of bricks that were reinforced with egg yolks. The Cape Santiago Lighthouse is about 10 kilometers south of the town center of Calatagan, passing through numerous beach resorts in the area. Calatagan is located west facing the West Philippine Seas which made this town famous with golden-sand beaches and stunning sunsets. View from the lighthouse allows you to enjoy the part of the sea where Verde Passage joins with the West Philippine Sea. Mount Calavite and Halcon of Mindoro and mountains of Lubang Island island can be seen from the lighthouse. From Manila, you can take a bus ride to Calatagan at the Southwest Bus station in Pasay City. It is about 2-3 hours ride in moderate traffic. From Calatagan's town center, you can ride a jeep or tricycle to the junction at Parola road to the lighthouse. The lighthouse is about 300 meters of dirt-road from the main road. The Cape Santiago Lighthouse was part of Schadow1 Expeditions mapping run in April 2018 which covered the beach resorts in Calatagan as well as other southern towns in the Province of Batangas, including Lian, Balayan, Calaca, and Lemery and has been added into the Philippine GPS Routable map we provide starting version 20180419. Over 3,500 360-degree photos have been made through the mapping expedition and is available upon request.